Fabric Renewal of Bloomingdale, New Jersey has been providing quality restoration dry cleaning to their customers since 1979. Due to their high level of dedication, passion and attention to detail, Fabric Renewal has become the nation’s leading independent water and fire restoration dry cleaning business. When Fabric Renewal approached us, they were looking for an agency that understood how to brand and market small businesses. “I wanted to find a firm that was professional enough to do the job to my standards, but small enough to give me the attention that I knew I would require,” said owner James Fenyohazi. His goals included increasing sales and raising awareness to gain more customers. Fabric Renewal was looking for a new and unified brand that would help to reflect the company’s precise attention to detail. To accomplish this, we created a fresh logo design using a color palette of green, blue and white along with a vehicle wrap, brochures, stationery and a new website design. 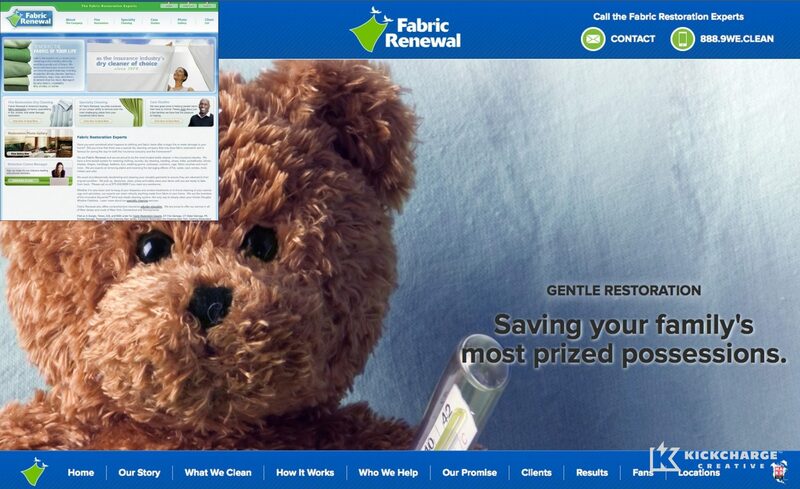 Its previous website was cluttered with text directly on the home page so we made sure that our design cleaned up, organized and properly conveyed the message that Fabric Renewal wanted to get across to its current and future customers. “I think they unified our brand by making everything we present to the marketplace reflect our attention to detail,” said James. 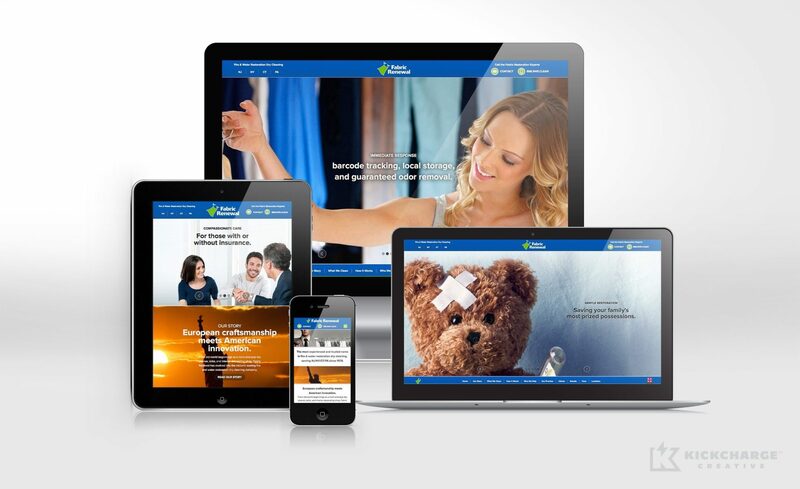 With the updated brand, new web design, vehicle wrap, brochures and stationery, Fabric Renewal has seen an increase in awareness of its brand. “I could not have imagined undertaking this journey without a partner like KickCharge Creative. The end result speaks for itself in my opinion, and is a testament to our level of collaboration,” said James.